The House and Justice Department reached a deal late Wednesday to provide records relevant to investigations of possible Trump 2016 campaign ties to Russia that could shed a light on whether the infamous Trump-Russia “dossier” was used to justify surveillance on Trump campaign officials and kick-start the FBI investigation. The deal comes after FBI Director Christopher Wray and Deputy Attorney General Rod Rosenstein met with House Speaker Paul Ryan to talk about the demands by the Republican-led House Intelligence Committee to turn over documents related to the probe into the allegations of Russian meddling in the 2016 election campaign to prop-up the Republican candidate against Hillary Clinton, Reuters reported. Last month, Nunes reportedly threatened to vote to hold the DOJ and FBI in contempt of Congress if they did not turn over the sought materials. The House intelligence committee reportedly issued subpoenas to Wray and Rosenstein in August – with a deadline to comply in September – requesting records related to the bureau’s relationship with former British spy Christopher Steele who produced the salacious yet unverified “dossier”. The dossier has come under increased scrutiny after it was revealed that it received funding from the Clinton campaign and the Democratic National Committee, prompting Trump to accuse the FBI of using “this Crooked Hillary pile of garbage” dossier to go after his campaign. 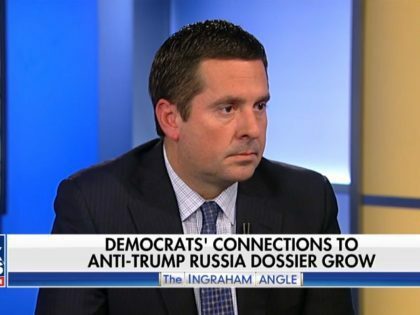 The panel, led by Nunes, also sought to know to what extent the dossier was used to justify FISA warrants to surveil Trump campaign adviser Carter Page and to launch the FBI’s probe into Russian alleged interference in the 2016 election campaign. Both agencies refused to comply with the issued subpoenas until now, according to Reuters, because the FBI was in the process of conducting their investigation, as supervised by Special Counsel Robert Mueller.